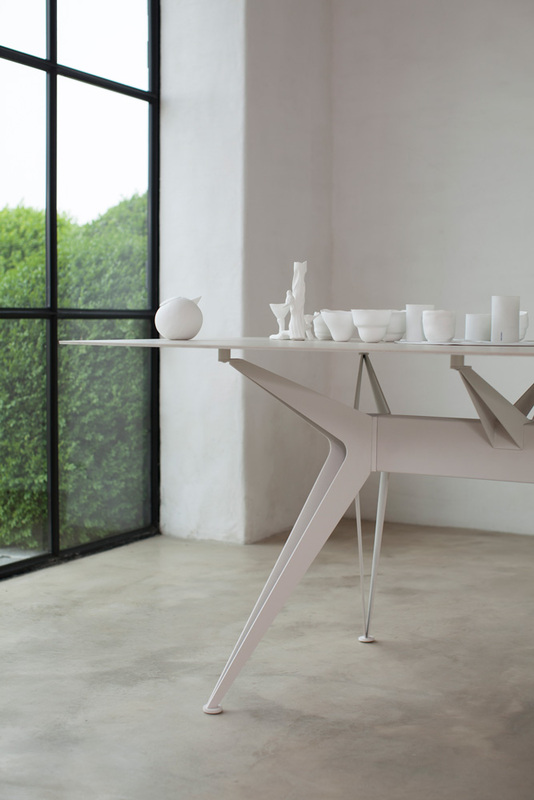 A series of tables and chairs, designed for Sitino. All pieces have a characteristic metal base with a sleek architectural look. 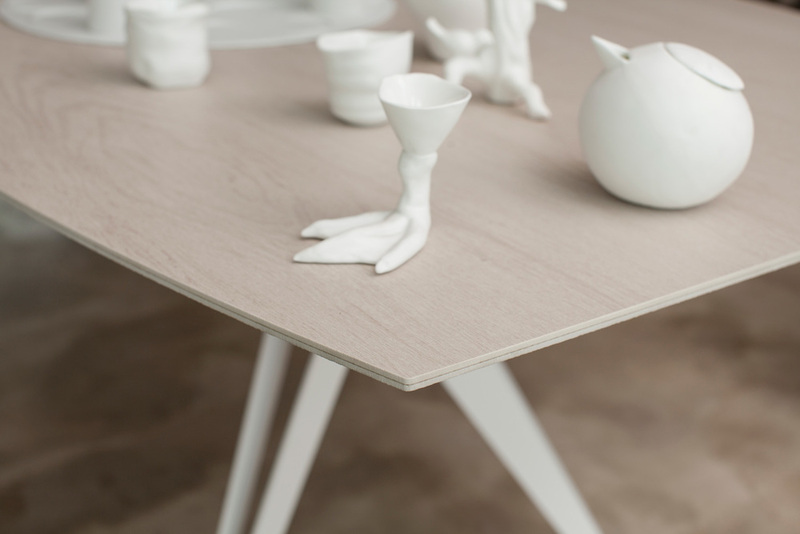 The collection includes five tables, each with a different shape. Hexagon consists of six triangular panels in solid oak, creating a uniting pattern. The slightly oval Poker and the rectangular Bridge are available with tops in different materials: solid oak, high-pressure laminate or ceramics (with a width of only 7 mm). 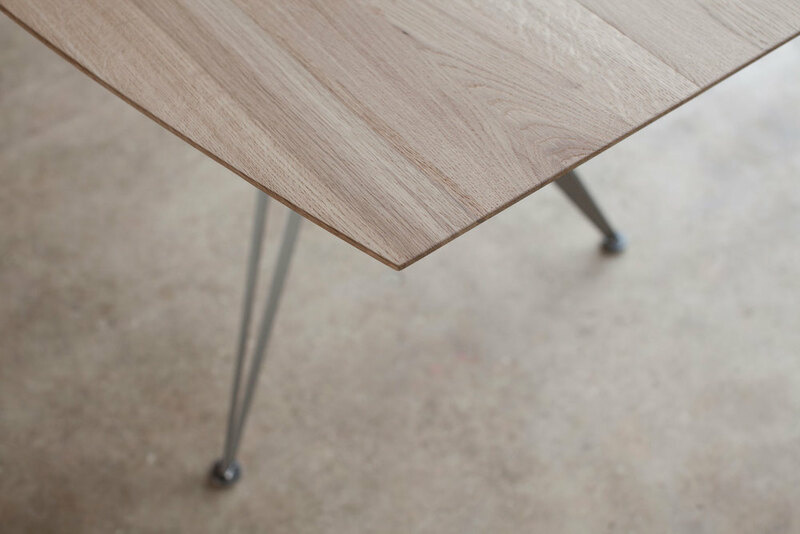 The two smaller models, the circular Rondo and the square Quattro, can also be used as side tables. The Taille Chair has similar design traits and also exists in a version with armrests. This armchair has an optional swivel base, making it suited for office use. The collection is completed by the Taille Cup Chair. All seats are available in wide variety of fabrics, leathers and leatherettes.